Hundreds of people turned out in Lenadoon yesterday (Wednesday) to pay their respects to Tony Catney who passed away at the weekend after a long illness. 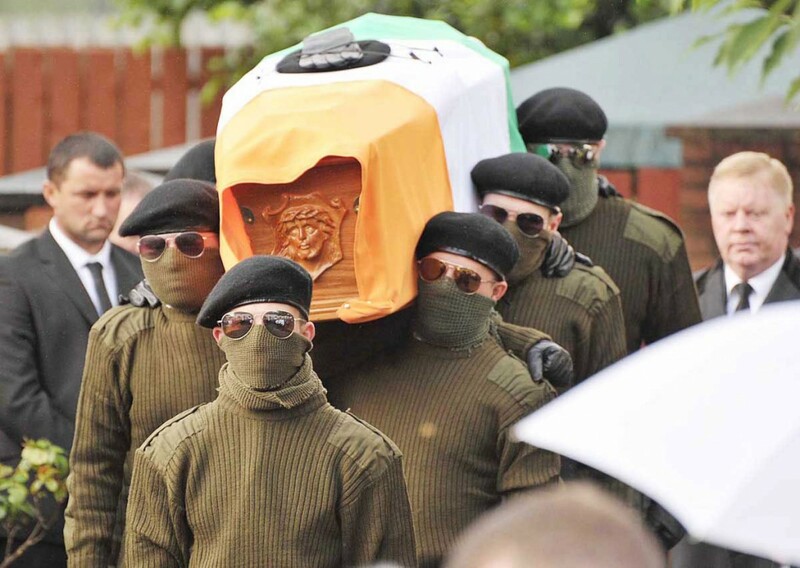 The lifelong republican, a former Sinn Féin Director of Elections but recently associated with the 1916 Societies, was honoured with a full paramilitary funeral. An eight-strong colour party flanked the tricolour-draped coffin as it made its way from his Upper Suffolk Road home to St Oliver Plunkett Church. A lone piper followed by the cortege and hundreds of mourners made the journey to the church. Among those attending included represetantives from éirígí, Republican Network for Unity and 1916 Societies from across the country. He said the Northern Ireland Ambulance Service responded to 19 Category A calls in Belfast during the Friday night shift. “Eleven of these calls were responded to within eight minutes, a further two within nine minutes, three more within 13 minutes and there were three calls that took more than 15 minutes to respond to. “The situation of dropped shifts is not acceptable to the Trust, our staff and, most importantly, to our patients. We continue to work to further improve the situation through filling current vacancies with recruitment processes that have already begun.